The Cuban Yooper Principle: Spend a lifetime trying to blend in with everybody else and it’s remarkably challenging if you decide to Stand Out. My father-in-law Fernando is Cuban. Not the Miami kind. The Mainland Fidel-Stole-My-Parents’-Clothing-Business kind. He was raised in Artemisa, southwest of Havana. Other than some interesting cultural differences (frequently eating sugarcane from the chute, drinking beer in the pubs as an 8-year-old, incredible amounts of dancing), his childhood is a classic tale. It’s similar to childhood stories you’d hear just about anywhere. He was an only child whose parents owned a clothing store. Working Middle Class, strong family ties. Life was normal. Life was good. Then…. Fidel rolled into town. Fernando’s parents were informed they didn’t own their store anymore. The government did. Fidel’s Socialism quickly turned into Communism. The Bay of Pigs debacle occurs. Life becomes abnormal, not so good. Fearing for their son’s future, Fernando’s parents shipped him to Miami via Operación Pedro Pan (Operation Peter Pan). The Operación was coordinated by the US Government, the Catholic Archdiocese of Miami, and politically connected Cubans. Over 3 years, 14,000 children left their parents to start over in the US. The children were delivered to friends, relatives, and foster homes in 35 states. One of those 18-year-old boys drew the lucky straw to go to…. Marquette, Michigan. The Upper Peninsula. Up to that point, Marquette, MI was relatively unknown to the Cuban people. To get to Marquette, you drive to Green Bay, then keep heading north for 3.5 hours. If you drive your car into Lake Superior, you went too far. “Culture Shock” doesn’t bear enough weight to accurately describe Fernando’s move from Artemisa to Marquette. He didn’t speak the language, didn’t own a coat, and had never seen snow. It snows in Marquette 11 months of the year. Spring is two weeks, Fall is two weeks and Summer is 2 days. In Cuba, it’s always Summer. Luckily, he had strong tolerance for booze and had seen plenty of guns during the last few years in Cuba, so that helped him fit in with the locals. If you like to drink and hunt, Marquette aint so bad. From Cuba to the Upper Peninsula. He was a Cuban Yooper. When I met Fernando in 1994 he had, and still does, a strong accent. It’s noticeable. Not subtle. But upon his arrival to Marquette, Fernando started doing his best to fit in. The accent wasn’t helping. 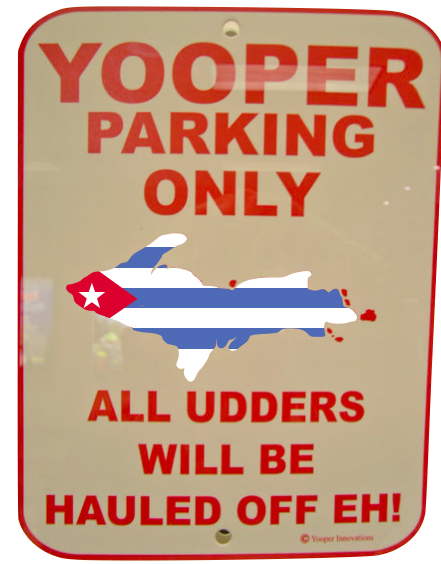 While Yoopers certainly have their own accent, it doesn’t sound anything like a Cuban accent. Wherever he went, his accent preceded him. But it didn’t precede his two children, because they never spoke Spanish growing up. He didn’t teach Spanish to his children. If the Spanish language resulted in his accent and his accent was a potential hindrance to blending in, why would he pass it on? And if your wife and kids don’t speak Spanish, how often would you? And 40 years ago, speaking Spanish wasn’t nearly as useful as it is now – There were a lot less Hispanics in the US then. Fast forward: Fernando’s daughter marries a redheaded Spanish-speaking kid. (What are the odds of that?) Grandkids arrive and The Redhead wants to teach his kids Spanish from Day 1. My 8 years of Spanish education was expensive. Learn it at home and it’s gratis. But here’s the rub: Speaking Spanish to a 4.75-year-old in an English-speaking world can be awkward. People look at you strange. You don’t blend. Mr. Redanglespanish reminds his father-in-law to only speak Spanish to the kids, but after years of trying to blend in, years of having people look at you strange, it can be hard. Because they don’t just look at Fernando strange, they look at the kid strange too. To consciously act different is hard. Much easier to go with the flow. Act accordingly. Again, The Cuban Yooper Principle is this: Spend a lifetime trying to blend in with everybody else and it’s remarkably challenging if you decide to Stand Out. This isn’t just a story about Fernando, the Cuban kid who got dropped into Marquette, MI and how he overcome obstacles to achieve great things – among them, teaching his grandkids Spanish (of course there’s a happy ending; Fernando does an amazing job with the kids). It’s a story about all of us. There is a supposed safety in numbers. Act accordingly. Color in the lines. Can’t you be more like Susie? Obey the rules. Wait your turn. Do what everybody else does. This prescription can work for some. But when times call for independent thinking, creative ideas, and new solutions to old problems… doing what everybody else is doing doesn’t help much. 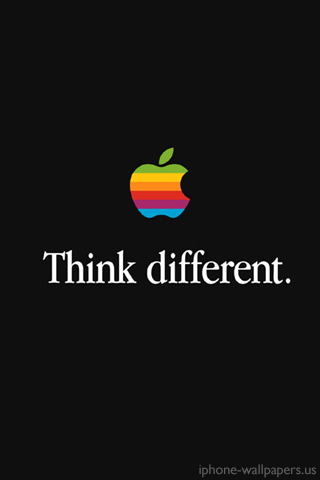 Family, Company, School, or Individual – meaningful differentiation is the essence of Strategy. ‹ What Bush, Obama, and John Mayer are Doing That You’re Not. I loved the story even though I’ve heard it many times before. So glad you posted it for everyone to see. I’m thrilled it made the rounds – thanks for passing along!